The name “2ndQuadrant” comes from The Seven Habits of Highly Effective People by Stephen Covey, specifically Habit 3 “Put First Things First”, p.151. It refers to the classification of an activity based on two factor: Urgent and Important. 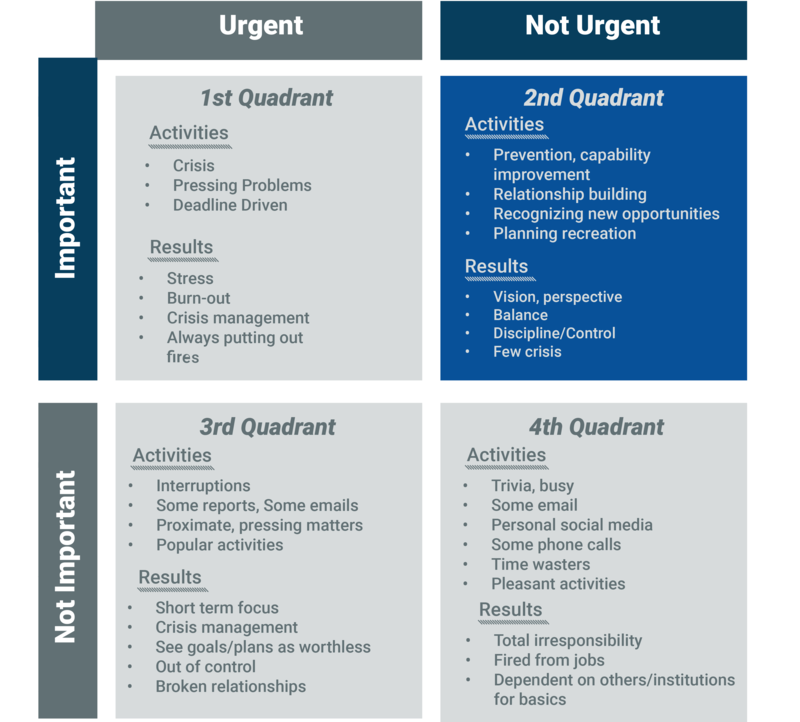 The « second quadrant » promotes planning and outlining of personal goals through effective personal management. It also empowers an individual to decide on what’s important rather than urgent. This makes an individual focus on long-term vision as well as their ability to execute short to medium term goals. If an individual concentrates on doing work in the “second quadrant”, it leads to “vision, perspective, balance, discipline, control and few crises”. These are all highly valued qualities, inculcated by the company in every individual; that’s where the name comes from and it’s something that is deeply ingrained in the organization’s culture. The focus on Covey’s “second quadrant”, has enabled the organization to execute projects with a skilled international workforce, focus on customers, deploy a rapid delivery model and sustain a positive cash flow. The result of being in this space is sustained thought leadership for open source PostgreSQL that has empowered 2ndQuadrant’s commitment to continuously contribute features for Clustering, High Availability, Replication, Security, & Performance to the PostgreSQL project over the past decade. To request more information about 2ndQuadrant products or services, please complete the contact form below and we will have someone contact you as soon as possible!